AmeriGuard Pest Defense does termite inspections on a daily basis. Sometimes these inspections do not reveal any findings of termites and other times there is termite evidence. 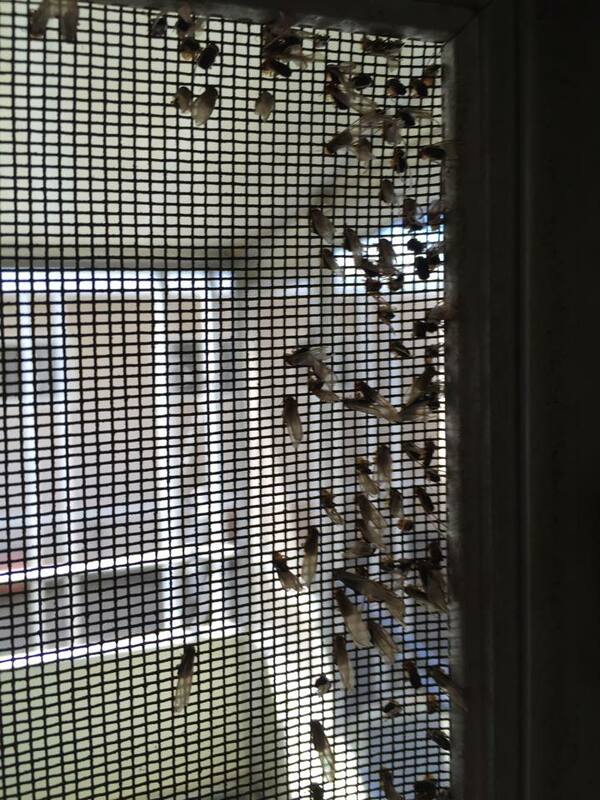 In this case, our inspector located drywood termite swarmers inside stuck to the interior of a screen. This is a common place for drywood termites to end up as they are not the best fliers and because they are attracted to light. The reason these termites are on the inside of the structure is because the colony has grown in size and these winged reproductive have been forced to flee and establish new termite colonies. That means that this home is infested with drywood termites. Drywood termite swarmers stuck to a screen. 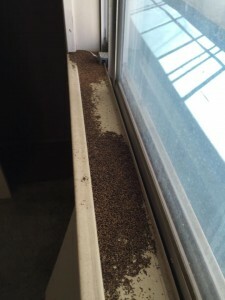 Drywood termite pellets have fallen from above and have collected on this window sill below. Drywood termite pellets have fallen from up above and have landed and collected on this interior window sill. There are a few options for treating drywood termite infestations, including structural fumigation and local treatment options. The termite inspector will go over all of your termite treatment service options and recommendations for your termite problem. If you find termite swarmers inside your home, please call on your local termite control professionals at AmeriGuard Pest Defense at (951) 652-0505 to schedule a termite inspection. We provide free limited termite inspections to homeowners when evidence of termites is present.